Gene Tierney Movie Page: Night and the City (1950). Night and the City (1950). Night and the City (1950). A film noir based on the novel by Gerald Kersh, directed by Jules Dassin. 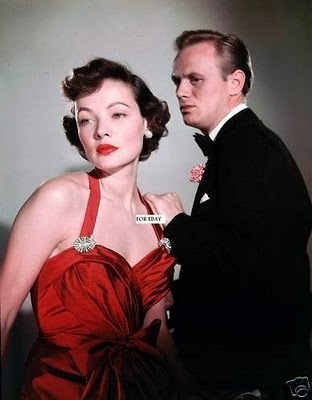 Cast: Richard Widmark and Gene Tierney. 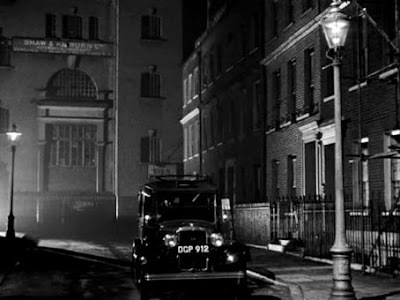 Shot on location in London, the picture is considered a classic of the film noir genre. The film's British version was five minutes longer, with a more upbeat ending and featuring a completely different film score. Dassin has endorsed the American version as closer to his vision. The story begins when, no good hustler Harry Fabian, borrows the money from his girl friend night club singer Mary Bristol, to open a greyhound racing track. Mary, borrowed the money from, designer Adam Dunn, which was supposed to be used to pay off the thug looking for Harry. Harry, works as a promoter for a nightclub, The Silver Fox, run by Phil and Helen Nosseross.. Later, at a wrestling match, Harry is about to hustle a couple of customers, but.. is stopped by Kristo's father, Gregorius, a former champion wrestler who is disgusted by the phony matches his son is staging. Harry, then promises Gregorius, that he will promote Greco Roman's wrestling matches in London. Later, Harry asks Phil for financial backing but he refuses. 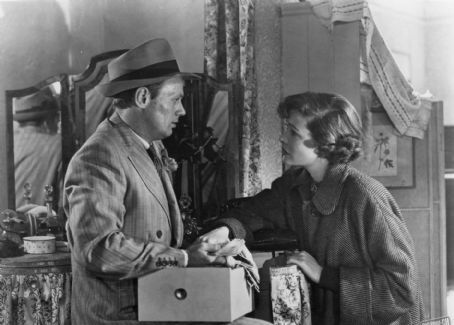 Helen, who is interested in Harry and wants to leave her husband, gives Harry the money on the condition that he will get her a license to reopen a closed nightclub. Thug Fergus Chilk, warns Phil that Harry should be stopped with his plans to promote wrestling. Phil suspects that Harry is having a affair with Helen and decides to "set him up" by becoming his silent partner. As soon as Harry, books his first promotion, Chilk and Kristo pay him a visit, telling him to leave town. Harry, then introduces them to his partner Gregorius. Kristo warns his father, not to be involved with Harry, who cons more money out of Helen, before he gives her a phony club license. When Kristo tells Phil, he knows that he is Harry's partner, Phil, then promises him that Gregorius will learn that Harry is not an honorable man. Phil's plan involves telling Harry, that he is backing out of the deal unless Harry books, The Strangler, one of Kristo's better wrestlers. Harry is forced to agree and talks with The Strangler's manager, Mickey Beer. They taunt, The Strangler into challenging Nikolas, and Gregorius is tricked into having Nikolas wrestle The Strangler. Harry tells Phil he has secured The Strangler but, as planned, Phil double-crosses him and phones Kristo in the belief that he will have Harry punished for having betrayed his father. Harry tells Kristo, that Gregorius wants the match to take place. Phil then tells Harry, that no one will give him the money he needs for the event. When Adam tells Mary that he has seen Harry near her flat, she finds him ransacking her place and finding her stash of money. At a gym, The Strangler and Gregorius get into a fight, and Nikolas suffers a broken wrist trying to stop it. Kristo arrives in time to see his father demolish The Strangler. The match has been too much for the old man, who collapses and dies. Kristo blames Harry for his father's death and puts out the word that he will pay £1,000 to the man who gets Harry. Helen, at the end of her rope tells Phil that she is going to leave him to go into business with Harry. On the run, Harry phones Figler, king of the beggars, asking him for somewhere to hide. Figler tells him to come to his place, then phones Kristo. At her new club, Helen is having a meeting with her girls, when a police officer comes to ask why the club is opening. Helen shows him the new license, but.. the officer discovers that it is a fake. Helen returns to Phil, only to find that he has killed himself. Harry, suspects that he has tipped Kristo has been tipped off and leaves to hide out on a barge owned by Anna O'Leary. Mary finds Harry at the barge and tries to help him escape. He tells her to go to Kristo and collect the reward money on him. Will the police arrive before anybody else is killed? If you are a film noir fan, who likes sinister greedy, creeps, who practice corruption and betrayal. This classic film noir is for you. 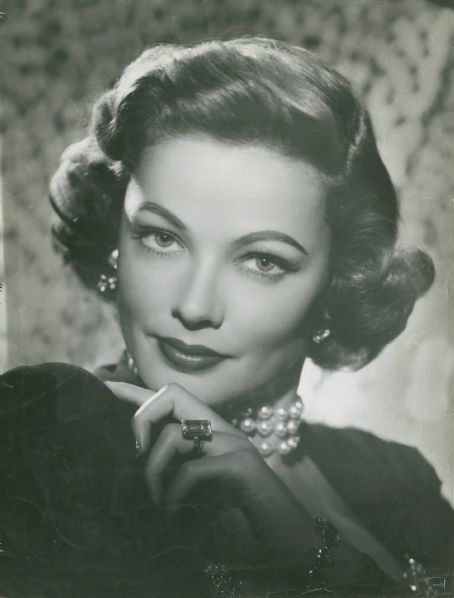 This is one of Gene Tierney, older performances. She is my favorite classic movie actress..